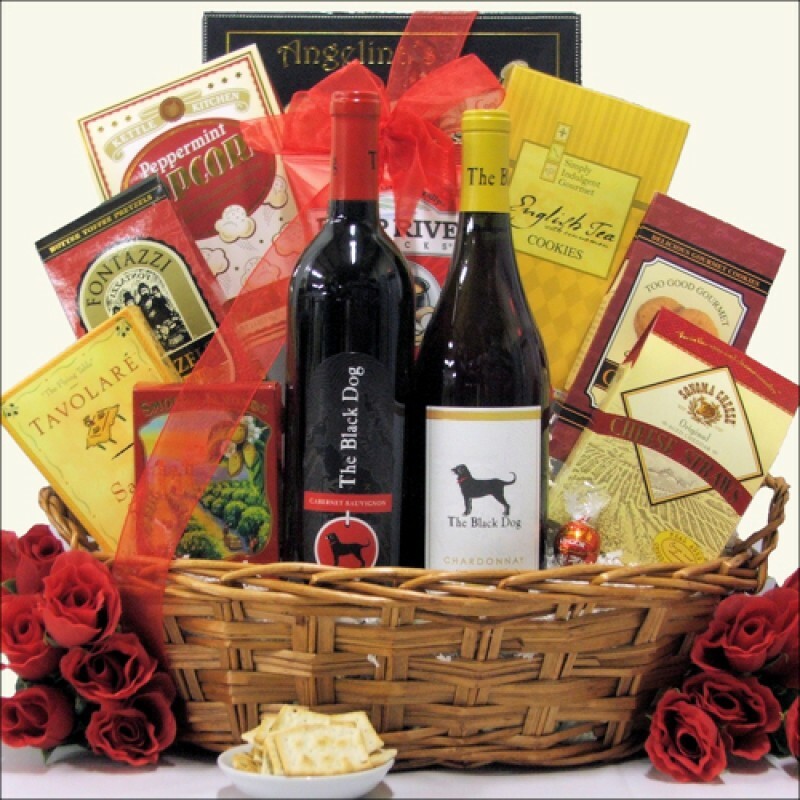 Send this unique Wine and Snack gift basket that is sure to make sure their day special. 'Two Black Dogs' gift basket features a bottle of The Black Dog Chardonnay White Wine and a bottle of The Black Dog Cabernet Sauvignon Red Wine. Both bottles feature the iconic 'BLACK DOG' on the label. Also includes delicious gourmet Chocolates, Cookies and Snacks. A great gift for any occasion!